France’s famous parfumier Jean-Paul Guerlain has been found guilty of making racist comments by a court in Paris. 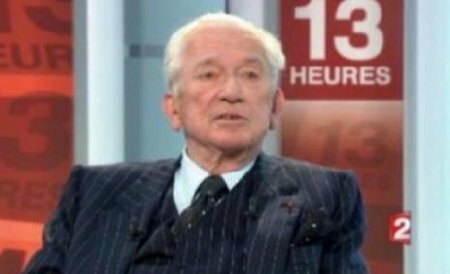 Jean-Paul Guerlain, 75, was fined 6,000 Euros ($8,000) over the remarks, which were broadcast in 2010. He used the French term “negre”, a racial slur, and implied that black people were lazy, when he explained how he worked hard to create a perfume. Jean-Paul Guerlain apologized to France’s black community during the trial, describing his remarks as “imbecilic”. He made the comments during a 2010 interview on France-2 television, in which he was explaining how he made his famous Samsara perfume. A number of anti-racism groups filed legal complaints after the broadcast and protests were staged in front of the Guerlain store in Paris. “I am from another generation,” Jean-Paul Guerlain said during the trial, and such expressions were “common” in the past. Jean-Paul Guerlain took over the family’s perfume house from his grandfather in 1959. The Guerlain company distanced itself from his remarks, saying his words were “unacceptable”. It also noted that Jean-Paul Guerlain had not been a shareholder in the company since 1996 or part of its staff since 2002.